Here you can see photographs and videos and hear memories of Shears made by Fielding and Platt. A Shear cuts material, just as pruning shears or secateurs are used to cut stems and branches in the garden. However, Fielding's Shears were usually made to cut metal. 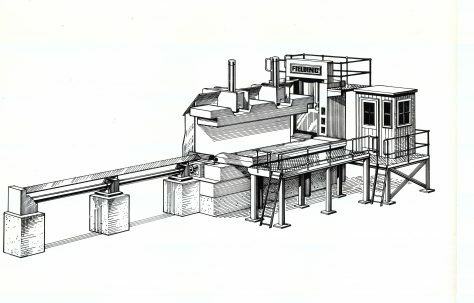 They were sometimes combined with Fielding's Balers, so that the metal was first cut into manageable pieces by the Shear and then compressed by the Baler.